The “Sierra de Mariola” is the symbol of the people of Alicante and Valencia, the emblem that represents a unique natural environment, declared as a natural park in 2002. The “Sierra de Mariola” covers seven towns (Alcoy, Cocentaina, Muro de Alcoy, Agres, Alfafara, Bocairent and Banyeres de Mariola); three municipalities (l’Alcoià, El Comtat and La Vall d’Albaida) and two provinces (Valencia and Alicante). 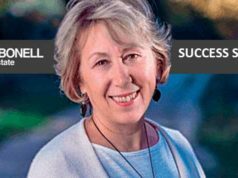 In this Carbonell Real Estate article we explain the highlights of the seven villages that are at the foot of the Sierra de Mariola Natural Park. It’s the reference city in the inland of Alicante province and has more than 60.000 inhabitants. Is the capital of the region of l’Alcoià, is surrounded by two natural parks that are mandatory visit: “Font Roja” and “Sierra de Mariola”. Due to its complicated orography, it’s known as “the city of the bridges” since it gathers a score of viaducts and bridges. It is one of the most important cities in the Valencian Community. Historically relevant during the Industrial Revolution in the textile, metallurgical and paper industry, it is now a leading destination for its tourist attraction: its festivals of Moors and Christians, whose origin dates from 1276 and its traditional Christmas. Also, is important its archaeological and historical heritage, distinguishing the El Salt and La Serreta sites, with cave paintings cataloged as World Heritage Sites. 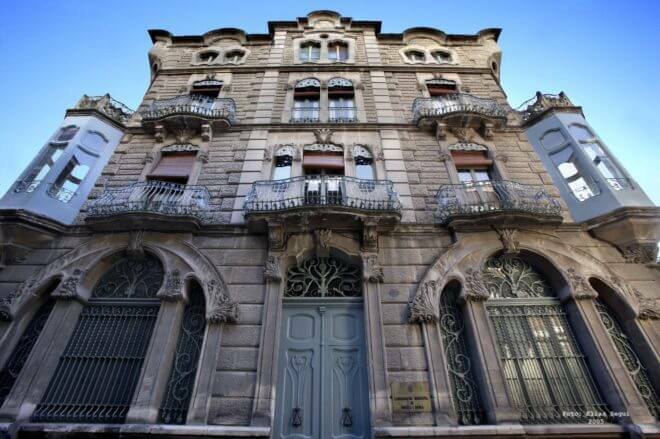 In addition, Alcoy is part of the European Route of Modernism, thanks to important references such as the “Casa del Pavo” or the Conservatory of Music and Dance Joan Cantó. The municipality of Cocentaina conserves a historical and architectural heritage faithful to its historical past. Emblematic points such as the Arab quarter of the Raval, with narrow streets and stately homes. Also, the Christian area of the Vila, where we can find the Archaeological and Ethnological Museum dating from the thirteenth century. However, the emblematic building of Cocentaina is the Palau Comtal, which housed up to three Condes de la Vila. 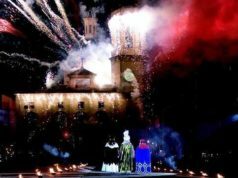 Around the Palau Comtal there are many festivities that decorate Cocentaina with their best costumes. The festivities of Moors and Christians in August and the Fira de Tots Sants, celebrated since 1346 in November and declared in 2002 of National Tourist Interest, stand out. 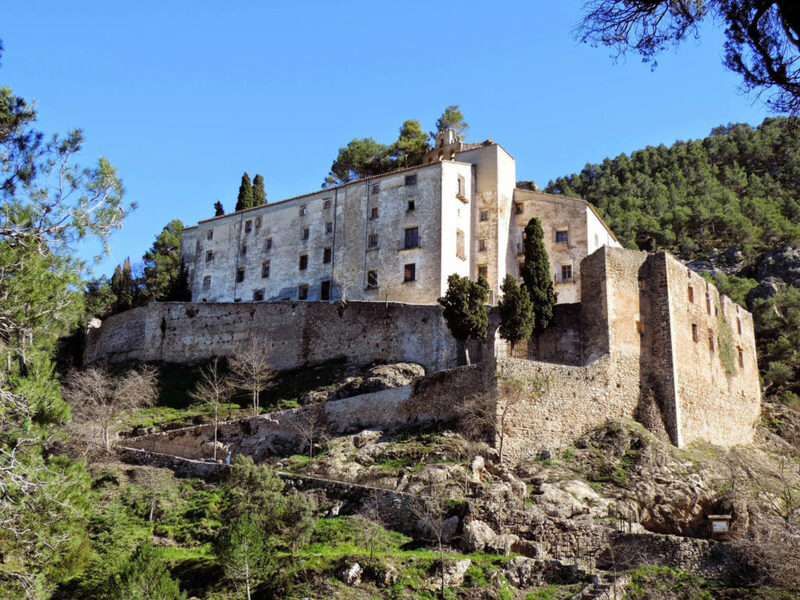 Muro de Alcoy, between the mountain ranges of Benicadell and Mariola, has an interesting architectural heritage. 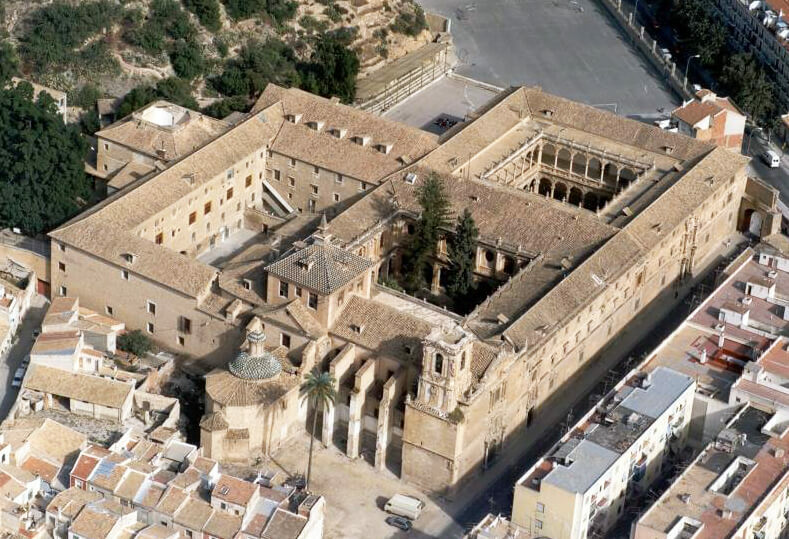 The parish church of San Juan Bautista, the Palace House, the Hermitage of San Antonio and the “Plaza de la Señoría”. 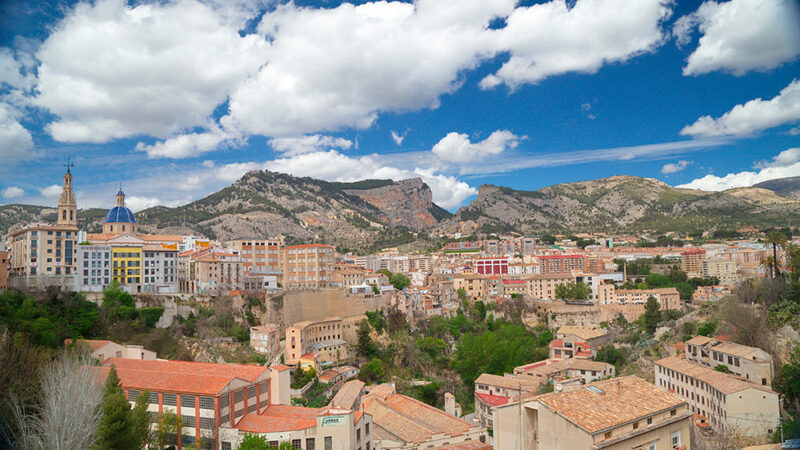 A small village in which to live quietly, surrounded by nature and with all the necessary services within reach, thanks to the towns of Alcoy and Cocentaina. Between Alfafara and Muro de Alcoy is the town of Agres, within the County of Cocentaina and with just over 500 inhabitants. A good option to enjoy the views of the Sierra de Mariola. 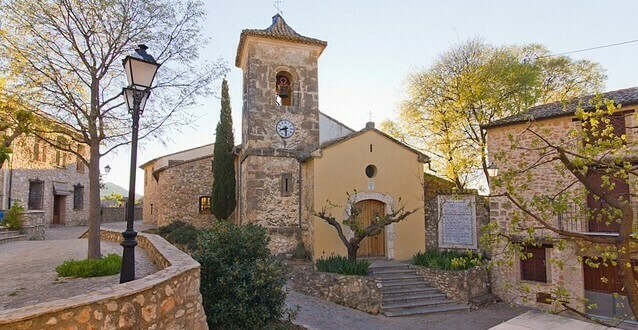 Its urban center is interesting: steep streets, sources of great history, native plants such as Rosemary or Sage and the sanctuary to the Mare de Deu de Agres, which is located at the top of the mountain. La Gran Cava is also of special interest, the emblem well of the Sierra de Mariola Natural Park and dating from the 15th century. It is 12 meters deep and is one of the best preserved in the region. It is a mandatory stop on a good walk through the Sierra de Mariola. 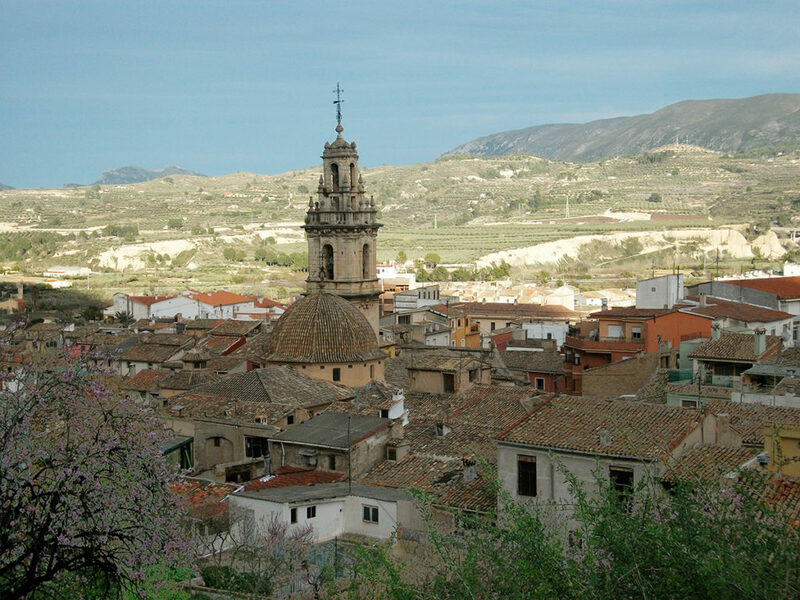 Small border municipality with the province of Valencia of mainly agricultural activity; cereals, almonds and apples, but also wine and oil. The proximity to the Sierra de Mariola gives Alfafara a special charm. Also, a very mountainous terrain, with pine trees, Mediterranean forests and landscapes ideal for camping and excursions. The town is made up of irregular, narrow streets with charming meeting places. A villa with which to transport itself to the past with charm and tradition. Bocairent, municipality located south of the province of Valencia and belongs to the region of the Vall d’Albaida. With just over 4.000 inhabitants, it has historical and tourist attractions dating back to the Neolithic period. 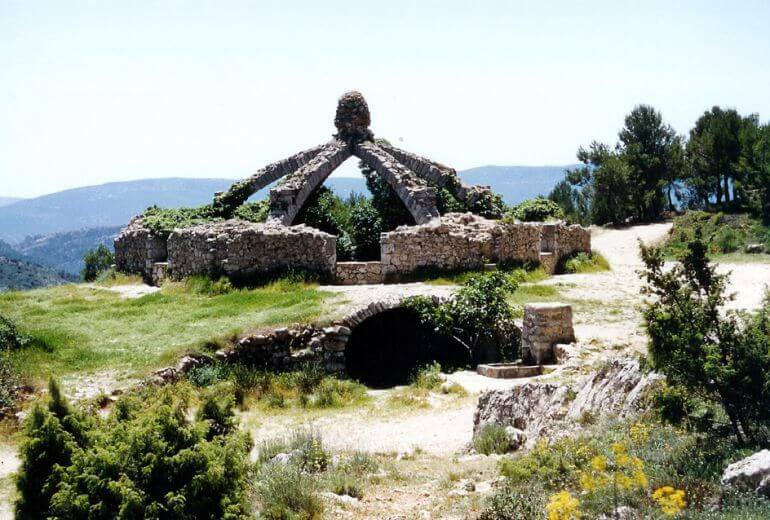 The main cause of tourism is its archaeological heritage: “Les Covetes dels moros” dating from the tenth century, its medieval ruins and its caves of La Sarsa. It emphasizes especially its old helmet, with a lattice of streets of Arab style, steep and staggered. There are different tourist routes of great historical value; the route of the ancient sources, of the hermitages or of the medieval ruins. In addition, the town is surrounded by aqueducts and bridges of great beauty. 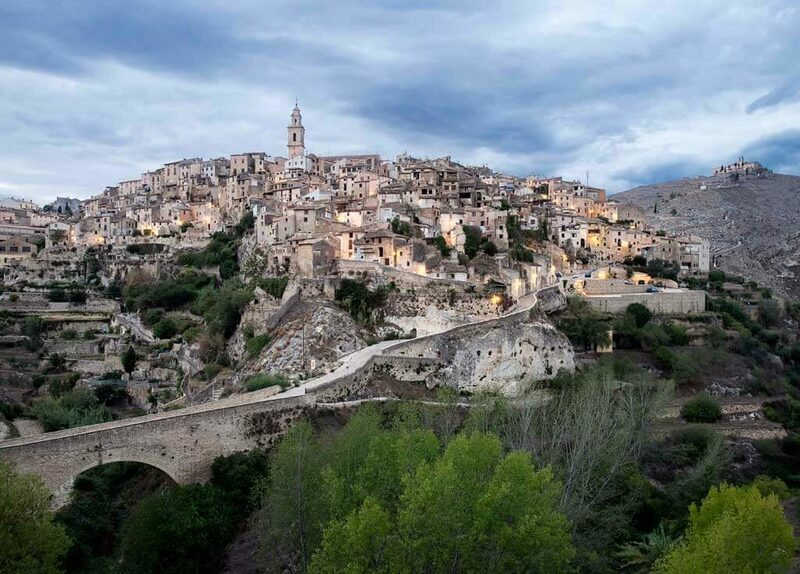 Although for unparalleled beauty, is to contemplate Bocairent at nightfall from the road with the old town illuminated. Banyeres de Mariola is the highest municipality in the interior of the province of Alicante, in the region of l’Alcoià and one of the main doors to the Sierra de Mariola natural park. Thanks to this, it has a natural environment of great scenic value, highlighting the variety of aromatic plants and natural sources. Do not forget the imposing fortress at the top of the town, from the 13th century and at 830 meters, inside which are the Museu fester and the Archaeological Museum. The gastronomy of the locality discovers unique flavors of the earth and mountain character. Particularly noteworthy is the “Herbero“, based on anise and native herbs. A villa, surrounded by nature with trails and beautiful landscapes to discover. One of the great attractions is to visit the source of the Vinalopó River and enjoy a day of excursions and relaxation. At Carbonell Real Estate we help you find the perfect home in Costa Blanca Inland; surrounded by nature, with the best views and with all the services within reach.